Supermarkets in Asia are leading the way in environmentally friendly packaging as they’ve taken to wrapping products in banana leaves. 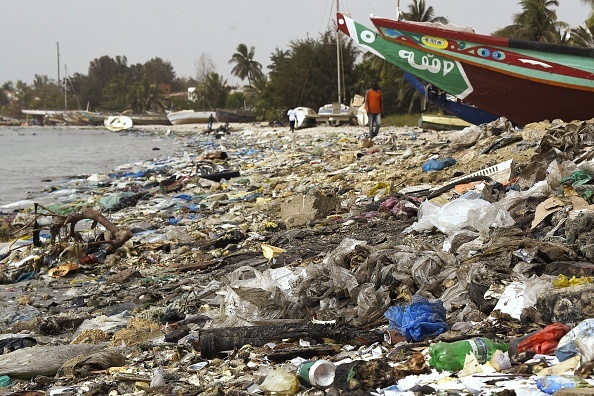 There’s no denying that our world is drowning in plastic, and as people are starting to realise the real extent of damage, thankfully moves are being made to save the environment. Just last month a dead whale was found to have 40kg of plastic bags in its stomach, and last year a report by Credit Suisse, as cited by Vice, warned ‘there will be more plastic than fish in the ocean, by weight, in 2050’. There is a growing trend for banning and reducing single use plastic bags and packaging around the world. Officials in the UK and EU have been contributing in recent years by introducing the plastic bag charge, and voting to ban single-use plastics, while members of the public have been tackling rubbish-ridden landscapes with the ‘#trashtag’ challenge. More innovative and environmentally friendly solutions are being introduced every day, as Rimping supermarket in Chiangmai, Thailand, demonstrated by reducing the use of plastic packaging with the help of banana leaves. Photos were shared to Facebook page Perfect Homes Chiangmai, showing the supermarket’s produce held together by the natural green wrapping. Well done Veggie first and Rimping. Let’s hope there are more great ways to cut plastic! If the use of banana leaves means there is even slightly less plastic used in supermarkets, it’s a positive change! The photos went viral on social media, having been shared over 17,000 times at the time of writing. Many people responded with their approval, with some writing that supermarkets everywhere should take a leaf (literally) out of their book. It can be done. Just takes effort and determination to save the work!!!!! Congratulations for leading the way. Little steps make big difference. Change is coming well I hope for the better. 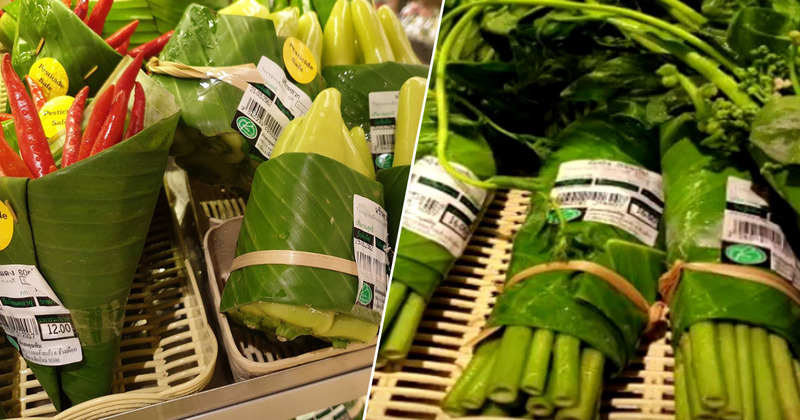 Following the success of the Facebook post, other supermarkets such as Lotte Mart in Ho Chi Minh City, Saigon Co.op, and Big C in Hanoi have all started experimenting with banana leaves as a plastic alternative, Vice report. Speaking to VnExpress, a representative from Lotte Mart said the company is experimenting with using leaves in one location, though they intend to make the change nationwide in the future. Natural resources can be used for more than packaging, as one Vietnamese man proved when doing his bit for the planet by creating biodegradable straws out of grass. It’s vital we do everything we can to reduce our plastic usage; these kinds of changes are the ones which will save the planet.